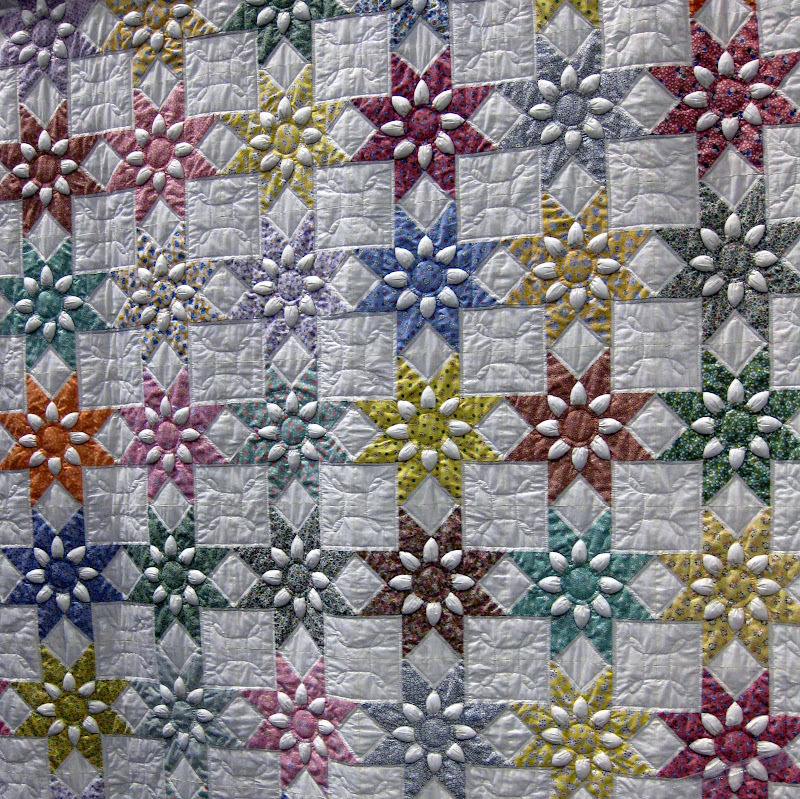 Details on a quilt at the San Diego Quilt Show, on Friday. 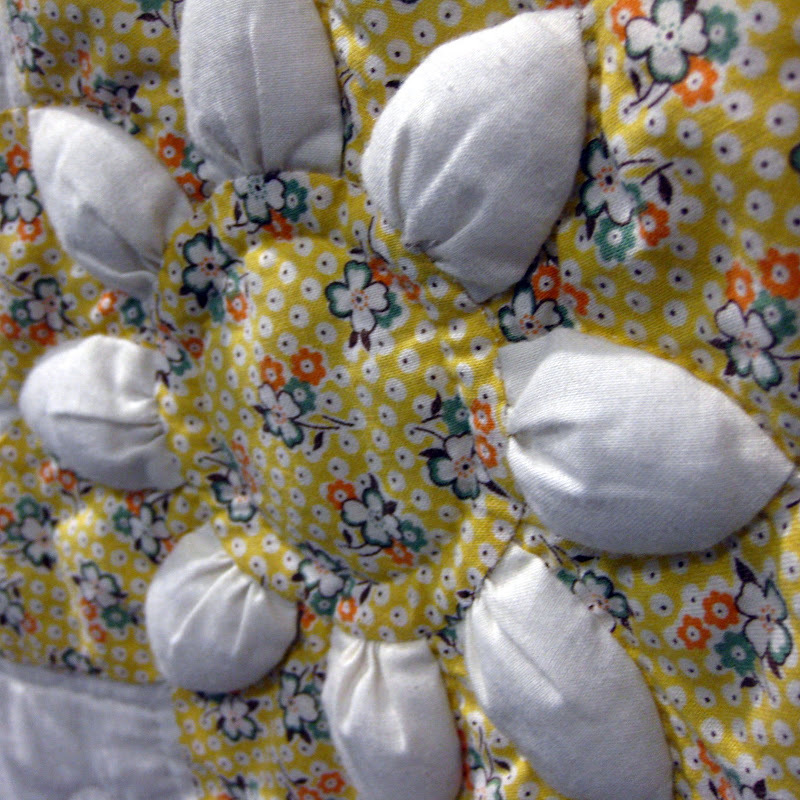 This is a larger shot of the same quilt. Gorgeous quilt! I would love to have that one! Someone is a marvelous quilter. What a charming quilt. I love the second one with the yellow color, it is just so sweet. The three-dimensional design is so original. Never come across one like it. Lovely details - and a lot of work to create it. That is a beautiful quilt. I love the macro shots, I was trying to figure it out. Oh wow what a beautiful quilt!! What a beutiful quilt ! What a lot of work that must been put down on it. Oh my goodness, Jan! This is wonderful! 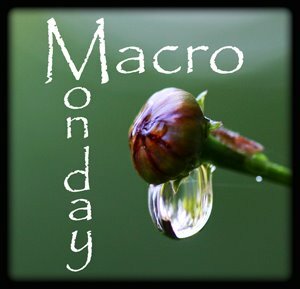 What a great idea for a macro. 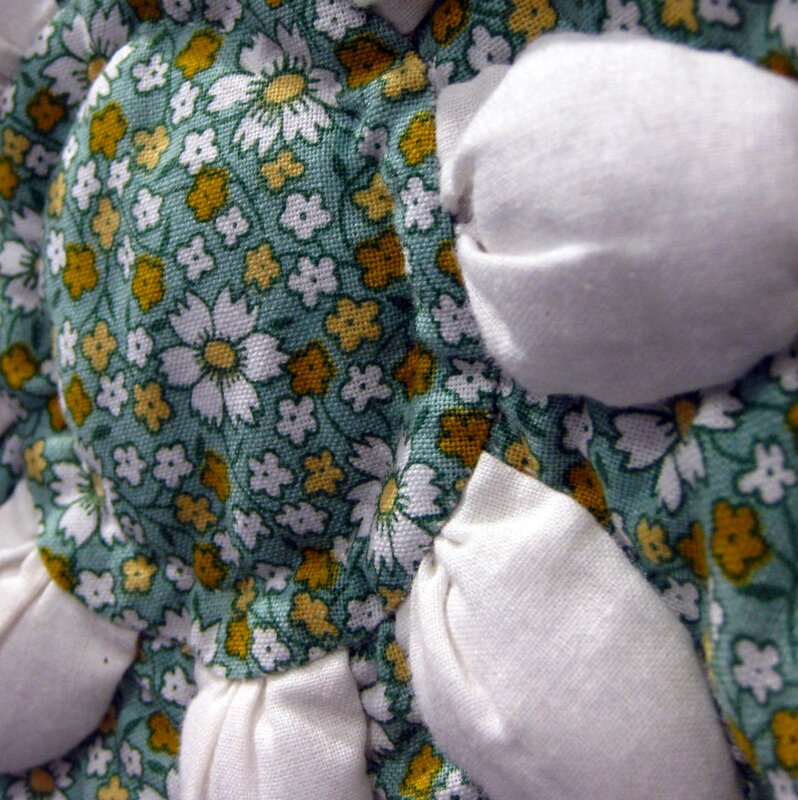 This quilt is stunningly beautiful! Love this one. Never seen this pattern. So when are you going to start yours?